As a result, we are actively engaged in raising up and supporting individuals and families willing to go to Africa, the Far East, Central Asia, the Middle East, Central America, and Eastern Europe. As they go, they teach English, make movies, translate the Bible (and teach it), start businesses, develop agricultural projects, establish schools, and provide health care. If they are working where a church has already been established, they serve the church and its larger community. They also serve as bridges between those national churches and Eastbrook so that we can work together. In everything, they seek to glorify God through their work and to give everyone they meet an opportunity to hear the good news about Jesus. As for us back home, we pray. We visit our church partners. We provide them with financial support as needed. We organize teams to work alongside them for a week or two. We look for new ways and new opportunities to serve. At Eastbrook, we go to the nations because we believe God has commanded it. We also do it because we want to love as God loves. With that goal in mind, it’s not enough to proclaim and embody Jesus Christ in our city; we also need to proclaim and embody Him in the world. 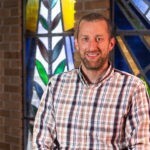 A weekly class on Sunday mornings, designed to connect our congregation with global issues. A quarterly focus for Eastbrook’s weekend worship services that involves worship and fellowship (usually a meal) with the focus on one nation or people group. Eastbrook Church is proud to support approximately 20 missionary families in countries all around the world. 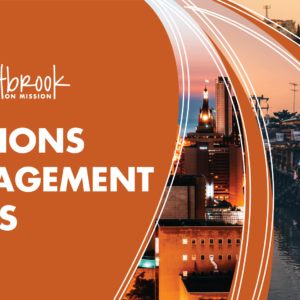 We invite you to stop by the weekly Missions Engagement Class to learn more. Women at Eastbrook meet weekly to pray for our international partners. Located on the South Side of Milwaukee, ILCT provides a safe learning space for refugees coming into Milwaukee. Love and welcome refugees in a variety of ways, from teaching English, child care, visiting homes, and helping kids with homework. The center is open from 8 am-3 pm Monday-Friday, with lessons for those with all levels of English functional language skills and conversation. Internationals and Eastbrook members meet every Friday evening for food and fellowship at a home near the University of Wisconsin-Milwaukee campus. 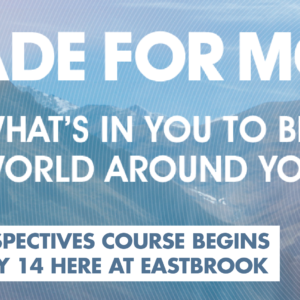 We hope to introduce international students to the life of Eastbrook in a natural and non-threatening way. Eastbrook offers ESL courses at UWM, on Sunday mornings at Eastbrook, and we also work in homes as we can. We provide all levels of English language from literacy training to advanced speakers. Everybody can have a role in this ministry, as students come from around the world.